At design to fit, we have been working to create the best catalogue of Education and Library Furniture possible. We use trusted manufacturers from across the UK with almost 50 years of experience. In this post, we will highlight 5 of our most effective products. These products are crucial to livening up your classroom and inspiring young minds to read and learn. These 5 products are the perfect place to start when improving your classroom or creating a reading area. The Tortuga Shelving Initial is the perfect product to start off your reading area. Its classic design has been imitated by many other manufacturers over the 50 years it has been in production. Built today with the same quality and durability as the day it was created, the Tortuga range is uncomplicated, stylish and adaptable. Furthermore, The colourful design makes this shelving unit stand out. Available in our whole range of colours, you can match it perfectly to your room. Over the years the design has adapted to include features such as adjustable shelves, and the ability to add extra pieces such as header panels and display shelves allow you to customize your shelving to fit your needs. The Tortuga Shelving boasts the ability to easily extend your reading area with the Tortuga Shelving Add-On. Simple and easy to connect, they provide a cost-effective way to add extra shelving units to you the classroom. 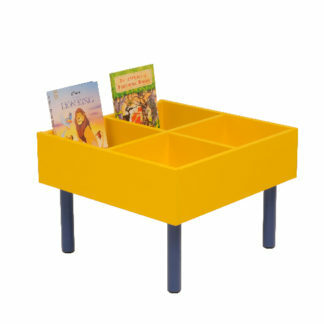 The Kinderbox is another Classic product, perfect to add some extra book storage to your room. After being in production for 50 years it has recently been redesigned to give it a more modern look. The Kinderbox is the perfect addition to your classroom reading area, space to store all kinds of books at the perfect height for young readers to access. The updated modern design features 50mm diameter tubular legs, giving it greater stability and a more elegant look. Available in all of our colours, you can easily match it to the rest of your space. In addition to the Standard Kinderbox, we also have kinderboxes available for big books, book displays, mobile kinderboxes and elementary kinderboxes for younger children. 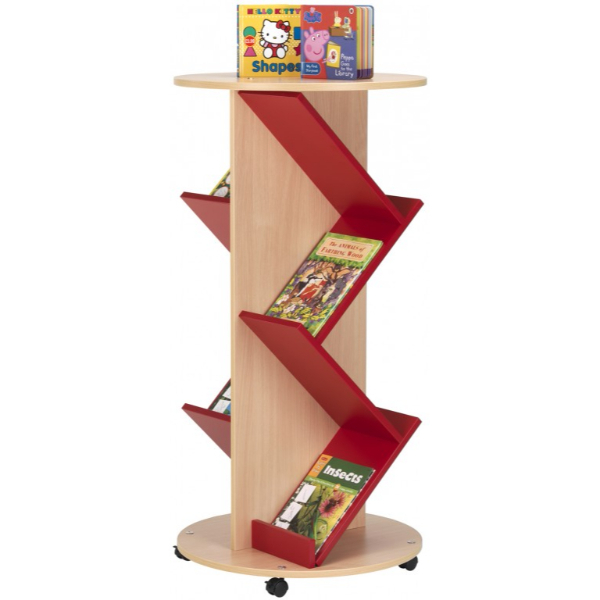 The Tortuga Display Ladder is an amazing way to add book display and storage to your classroom. 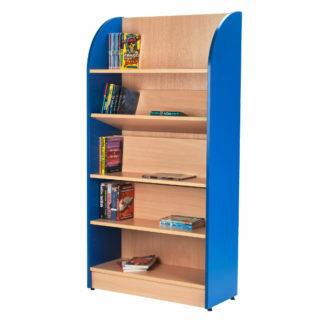 The simple design allows for up to 8 displayed books as well as many more stored. Easily store books and magazines of all sizes in the large display sections. The Tortuga Display Ladder is a great way to display books in the classroom. As a result, this is an effective product to entice young readers to pick up a book. 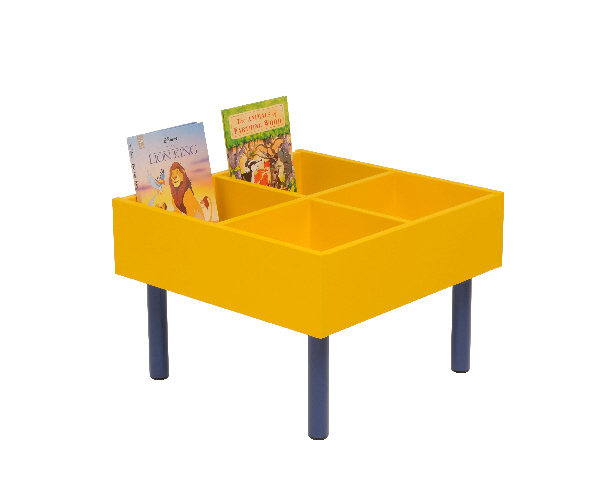 Perfect for filling small spaces, this product effectively adds storage to your reading area and inspires young kids to start reading. Furthermore, for storing and displaying larger quantities of books and magazines, we also offer the Mead Unit. The Classic Primary Book Bean Bags are a stylish and comfortable way to add seating to your reading area. 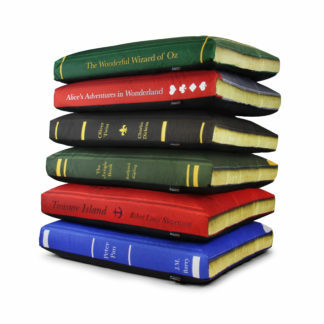 Featuring 6 classic primary school books, these bean bags are a great way to add colour and comfort to your room. 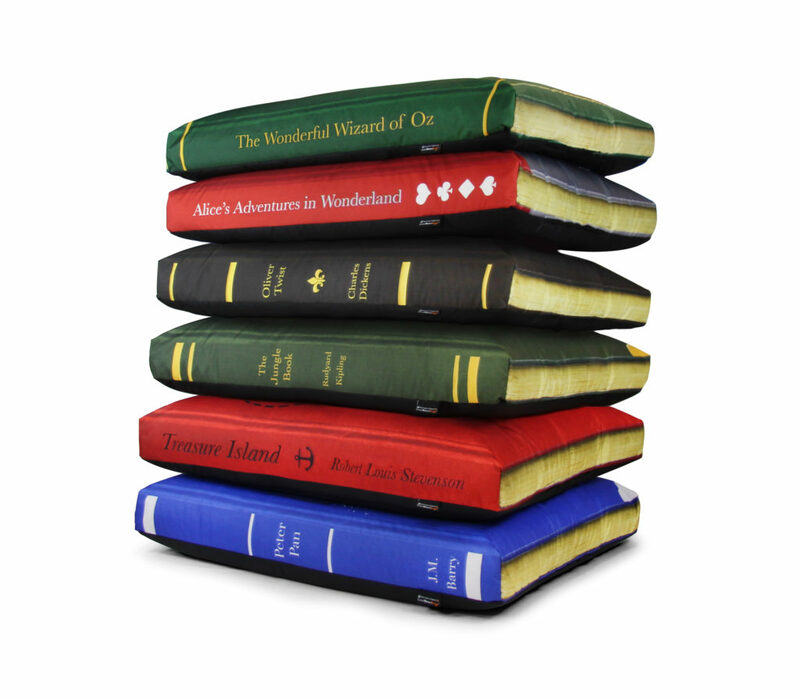 Available with The Jungle Book, Treasure Island, Oliver Twist, The Wonderful Wizard of Oz, Alice’s Adventures in Wonderland and Peter Pan. Create a comfortable, relaxing space for young minds to dive into their books. Alternatively, these bean bags are great for story time. Keep everyone together and engaged in the story by using these bean bags as seating for groups. 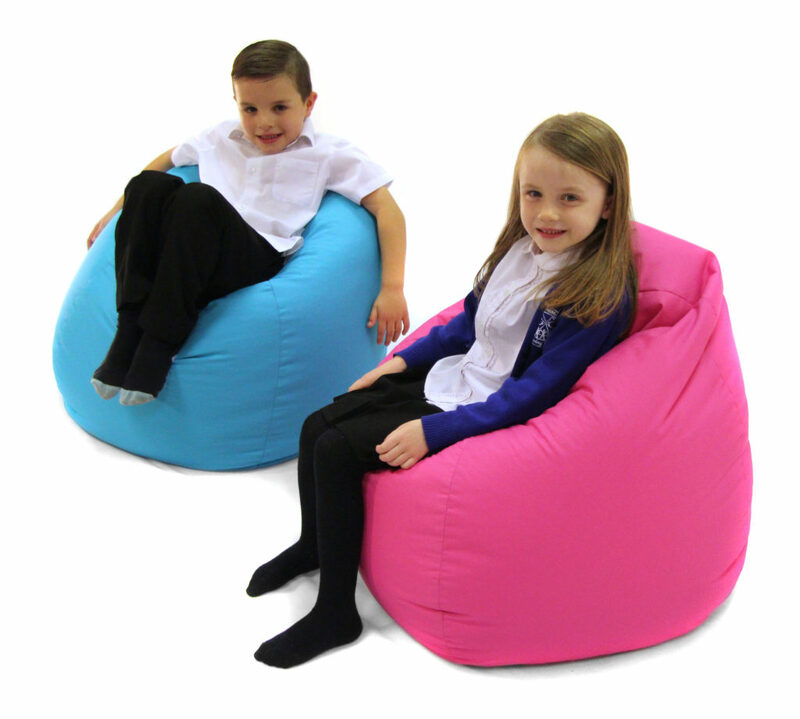 The Primary Classic Bean Bag is a great product that adds vibrant colour, and comfortable seating to the classroom. Light enough for kids to move around, these bean bags are perfect to create dynamic seating in the classroom. Therefore, you can create a seating layout that can be easily organised to accommodate any lesson plan. The Classic Bean Bag is simple and effective – perfect for adding some colour and comfort to classrooms and reading areas. Alternatively, we offer discounts for multi-packs of these bean bags – if you require a mixture of colours please contact us. In conclusion, these five library furniture products are the perfect starting point for your classroom or reading area. Easily store and display books and magazines, and create a comfortable area to read in. Help inspire young minds to explore the world of reading. Create your own stylish, effective reading space for your classroom. If you require a design service or would like to find out more, please contact us through our General Enquiries page. Listed below are all of the products discussed in this article. ← The New Design to Fit Website is here!